Saved the workbook where the code is stored. Save a workbook defined by the order it was opened. 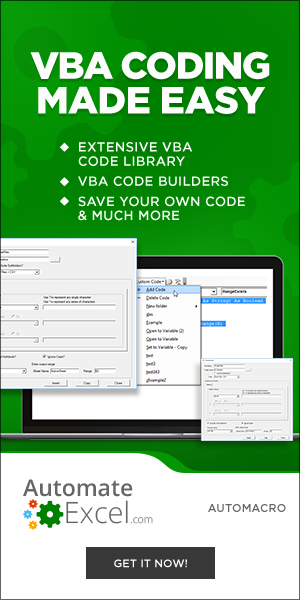 This VBA Tutorial covers how to save a file using the Save and Save As commands in VBA. The VBA Save command saves an Excel file similarly to clicking the Save icon or using the Save Shortcut (CTRL + S). Note: This is the current active workbook from with in the VBA code. Note: opening a workbook in ReadOnly mode prevents the file from being saved. To save the file you will need to use Save As and save the file with a different name. Note: The first workbook opened would have 1, the second 2, etc. The VBA Save As command saves an Excel file as a new file, similar to clicking the Save As icon or using the Save As Shortcut (Alt > F > A). Above, we identified all the ways to specify which workbook to save. 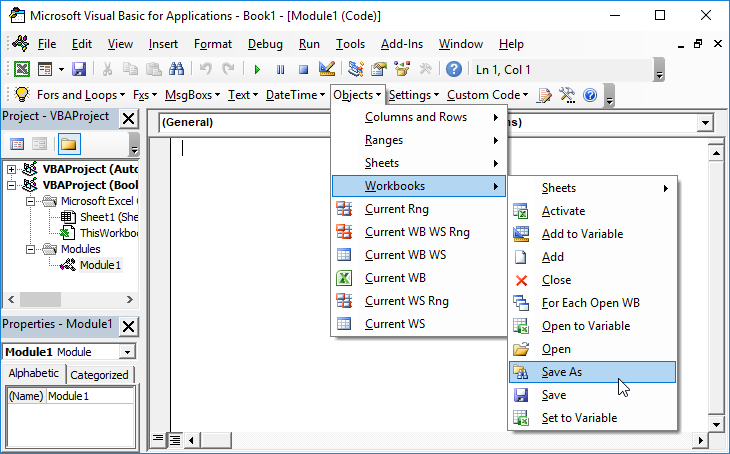 You can use those exact same methods to identify workbooks when using Save As. Save As behaves similarly to Save, except you also need to specify the name of the new file. A full description of all of the SaveAs arguments is included below. For now we will focus on the most common examples. Note: These arguments can be entered as string with parenthesis or as defined variables. You can also specify the file format in it’s own argument. ActiveWorkbook.SaveAs Filename:= "C:\new.xlsx", Password:= "password"
ActiveWorkbook.SaveAs Filename:= "C:\new.xlsx", WriteRes:= "password"
TRUE to display a message box, recommending that the file is opened read-only. This Generates the Save As Dialog Box, prompting the user to Save the file. Keep in mind that this simple code may not be appropriate in all cases.